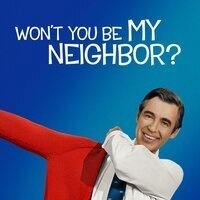 MPT Indie Lens Pop-Up- Won't You Be My Neighbor? For over 30 years, Fred Rogers was beamed daily into homes across America where he and his cast of puppets and friends spoke simply and directly to young children about some of life’s weightiest issues. This film looks back on Fred Rogers’ radical legacy of love and kindness. Presented as part of Maryland Public Television's Indie Lens Pop-Up series.